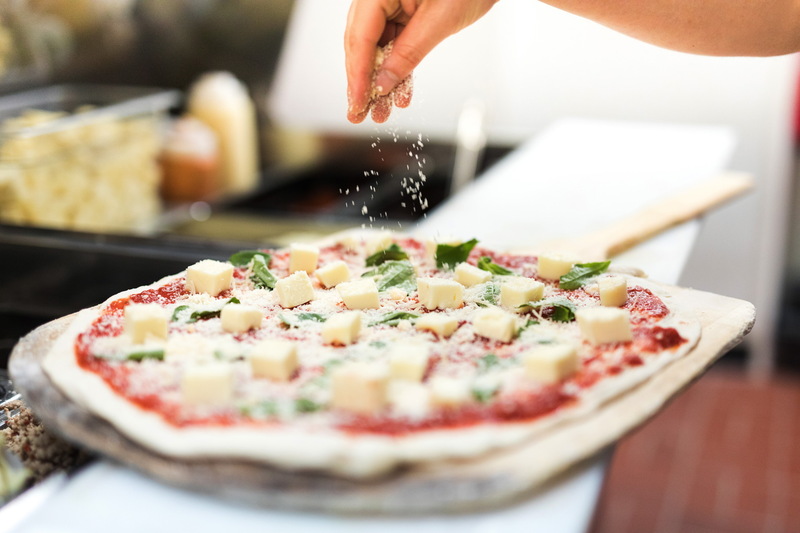 Enjoy artisan, hand-tossed pizzas at Slab Town Pizza. Cashiers' small pizzeria first opened its doors in 2014 and has maintained the same quaint, friendly and inviting environment since the beginning. The handmade desserts, dough and the option to create your own pizza masterpiece have kept Slab Town as a town favorite. Highly recommended is the Schrute Farms Beet Salad- inspired by The Office- while a crowd favorite is The Duke Pizza, which comes in the standard 8 slices topped with Italian sausage, pepperoni, bacon, ricotta, grandé mozzarella and red sauce. The menu offers a wide range of pizzas, salads and specialty items. During the cooler months, grab a seat outside on the covered patio and enjoy the roaring fireplace with friends and family.